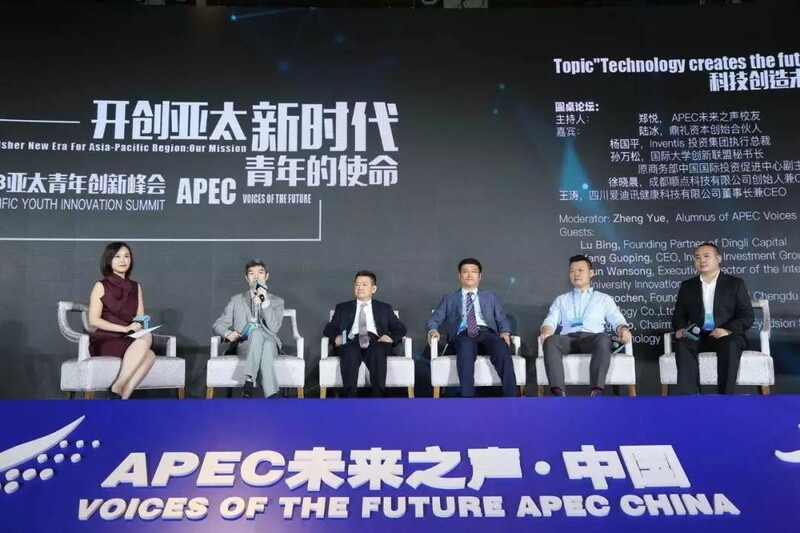 On the occasion of the tenth anniversary of the establishment of APEC Voices of the Future, the "2018 APEC Voices of the Future Asia-Pacific Youth Innovation Summit" was successfully held in Chengdu on August 23. Antonio Basilio- Executive Director of the International Secretariat of the APEC Business Advisory Council, Zhao Zhenxian- Vice Chairman of the Sichuan Provincial Political Consultative Conference, Chen Fang- Vice Chairman of the National Federation of Industry and Commerce, James Soh- CEO of APEC Voices of the Future, Sun Wansong-Secretary General of the International Universities Innovation Alliance, and many other leaders and guests attended the summit. 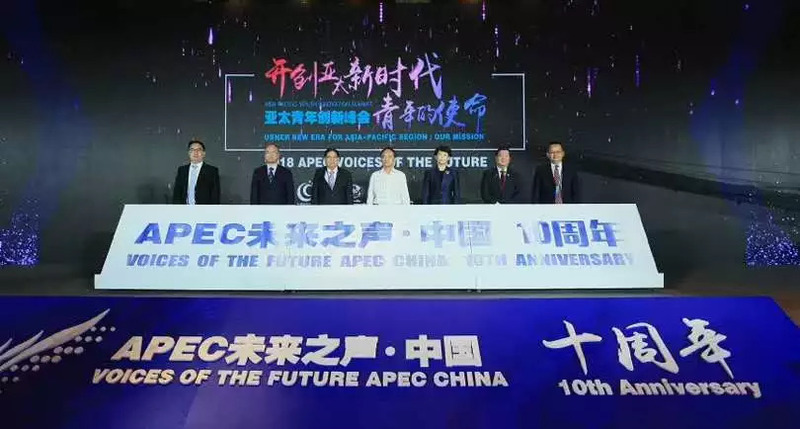 They witnessed the 10th Anniversary of APEC Voices of the Future with 120 participants from Harvard University, Oxford University, Tsinghua University and other famous universities in the world and APEC Voices of the Future’s youth representatives . APEC's Voices of the Future is the only official youth development project under the APEC organization. Each year, it selects outstanding youth representatives from APEC's 21 member economies. They will participate in the APEC Summit with political and business leaders to contribute wisdom and strength to the development of the Asia-Pacific region. Meanwhile it provides the international stage for the outstanding young people, broadens international horizons ,cultivates outstanding young talents in the APEC region, and demonstrates youthful style and influence.It also a good opportunity for China to show the good spirits of Chinese youth to the world. The on-site forums and speakers were the foremost leaders in the industry. They discussed the topic of “Usher New Era For Asia-Pacific Region:Our Mission”. With the theme of science and technology, innovation and entrepreneurship, education and public welfare, through the Roundtable Forum and keynote speech, in the "Science and Technology Creates the Future", "How Education is Only on Campus", "Industry Innovation: Innovation and Challenges of Young People in Traditional Industries ", "Why do Young People Want to Join the Public Welfare" and other topics, presented a high-golden thought feast for the participants. Sun Wansong, Secretary-General of the International Universities Innovation Alliance, delivered a speech at the Roundtable Forum on "Science and Technology Creates the Future"
Sun Wansong, secretary-general of the International Universities Innovation Alliance, said at the forum: As an organization that helps young people grow and pay attention to the future development of youth, the International Universities Innovation Alliance (IUIA) has been building a global entrepreneurship alliance,which aims to provide a comprehensive customized service platform for global entrepreneur .With the four-in-one operation mode of “cross-border incubation platform + industrial fund + industrial research institute + theme industrial park”, the effective implementation of relevant industrial projects and talents has been achieved. At present, it has established or co-founded overseas innovation and entrepreneurship institutions in more than ten countries and regions around the world, established partnerships with more than 100 famous universities and innovation incubators around the world, and cooperated with many of the world's leading research institutions. It has opened up channels to introduce the innovative entrepreneurial projects and high-end talents.For young entrepreneurs with entrepreneurial dreams, in the early stage of entrepreneurship, they often face the situation that they cannot land the project due to shortage of funds. We should collect social forces, give team financial support , support the rapid growth of the project, and provide a broad platform for entrepreneurs to help them step by step realize their dreams. 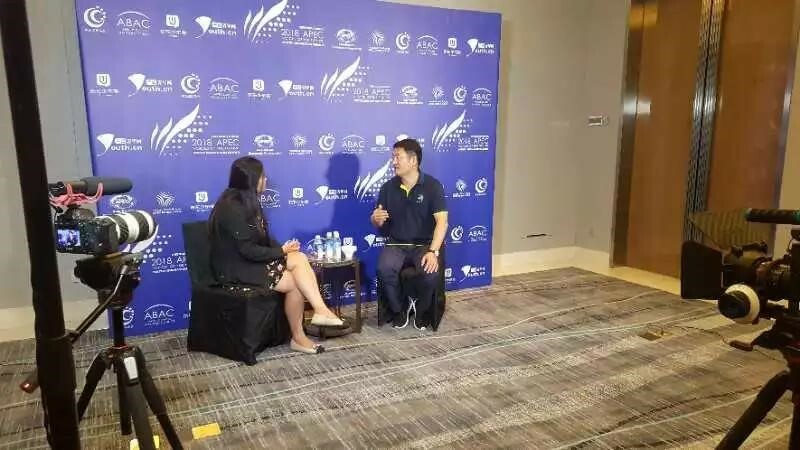 In an exclusive interview with the APEC Organizing Committee, Secretary-General Sun proposed that the APEC Youth Forum is an excellent platform for young people to start a business, and its influence is also very huge. It is a platform for Chinese youth to show themselves on the world stage. 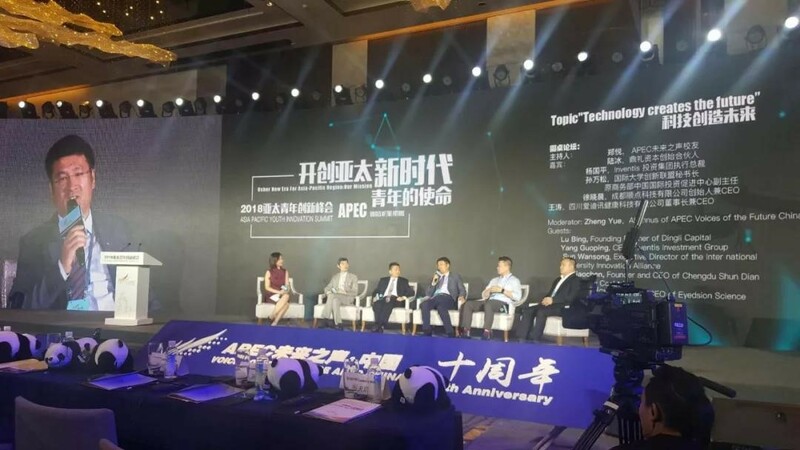 When talking about the suggestions for the development direction of APEC Voices of the Future, Secretary-General Sun proposed: "APEC has been going through ten years now. In order to better implement the relevant industrial projects, I suggest that a innovative alliance -made of contestants and guests, be established for this summit. It will crowdfund fund and really provide assistance and resources for entrepreneurs.” At the same time, Secretary-General Sun also communicated with APEC Youth Forum on potential cooperation opportunities and reached several cooperation consensus. Secretary Sun said that in the future, IUIA will work closely with the APEC Youth Forum. Strong youths lead to a strong country. I hope that Chinese youth can always adhere to the excellent quality of tolerance and openness, be brave in innovation and exploration, and give full play to their talents and influence. IUIA will work with them to contribute to the construction and development of the community of human destiny. 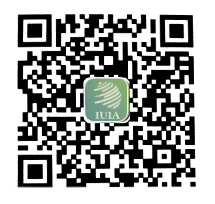 IUIA will provide a broader development space and development platform for the outstanding talents of Youth Voice , showing the elegance and wisdom of Chinese youth and building the future of China!